Surface treatment technologies are very important in every industry from a food, health, nuclear, chemical, foundry all the way to high-performance innovations for the aerospace industry. As a very experienced company in the field of surface treatment, we have dealt with a lot of different problems and we are very likely to figure out the way to help your type of industry and your specific problem. Do you have a problem with surface preparation before further technological procedures? We offer the most optimal solution for the treatment, preparation or cleaning of the surface with a jet of an abrasive or cleaning agent for each industrial application! The problem of preparing or cleaning the surface appears practically in all branches of the industry, from metal, aircraft and automotive, to the nuclear and electrical energy, as well as food, chemical, and pharmaceutical. Each industry has its own specific requirements, which the experts from our company can answer reliably in a competent way. So far, we have solved countless simple and extremely demanding problems with our knowledge, which we have accumulated for more than fifty years, and we have practical answers to even the most demanding issues.  Classical metal coaches and newest Inox or Aluminium made high-speed coaches are manually or mostly robotic blasted with the selected abrasives. Blasting Process with our equipment is quick and environmentally friendly and safe for the operator, most economical and without any pollutions. Several solutions are installed all around Europe for most demanding clients: from simple manual blasting in the Adapted Blast room to half automatic and robotic installations, where operator just need to change and check final result. Our technology cleans railway axles from any kind of paint without damaging the surface and perfectly prepare for magneto-flux inspection and final coatings. Abrasives, dust, and air-pollution are fully controlled in a closed system, so there is no pollution to the environment. Cleaning engines complete with electric installations with Dry Ice is most suitable for every service workshop. There is no dismantling of components and oils, greases and old dirties are cleaned fast, effective and without any waste. There is no water at all and all components, electrical, pneumatic or hydraulic can be in working condition during cleaning. Tomorrow's technology for Today! Blasting housings of electric components before painting, removing oxides from copper contact surfaces, deburring and hardening of copper rotors before assembly, etc. there are many applications where our knowledge and technology can help our clients as well. Cleaning transformer stations under the power? YES! The statutory periodic cleaning of transformer stations on the ground with Dry Ice technology has never been easier and with less congestion in the supply of electricity to customers. The constant tendency of engineers to achieve the best qualities and extend the life of materials and tools developed the segment of hard coatings to outstanding results. Many different applications (flame and plasma spray, vacuum diffusion, plasma coatings, ceramic or hard metal coatings) need also different surface treatments before and after - for better adhesion between base material with different coating layers. Dry and Wet sensitive and controllable Blasting technologies are fully applicable to this industrial segment. Many different surface cleaning applications with low abrasive materials are applicable in specific industries like food processing or producing medicines. Dry and Wet blast technologies with low or none abrasive media need to be carefully applied. Blasting of INOX equipment, installations and pots are necessary when producing this equipment for food or pharmaceutical industry. Using specific materials, like Glass-beads, Ceramic beads or Stainless-steel shot is extremely important to use it in the right way. Blasting materials are useful many times and are used in closed sandblasting systems with built-in in-line separation, so they circulate all the time in the system. The equipment is always completely closed type and has no pollutions in the surroundings. Cleaning of complete or segments of food processing and pharmaceutical equipment is possible to do with Dry ice/Dry Snow even when running at full speed. There are no pollutions at all, especially when using exhaust filter heads for extracting deposits from the surfaces. Automatic and fully controllable cleaning of tools for blister pack packaging machines with SODA is absolutely healthy, effective, no surface damaging and safe process. Soda can be used only once, so effective extracting filter units are requested.